Gizmodo spoke with Perchbird, who goes by the name Liam outside of Tumblr, and learned that his attempts weren’t all that that successful—largely because there weren’t any Pokemon in his backyard. So you can take a breath. Perchbird is not a cheater after all. 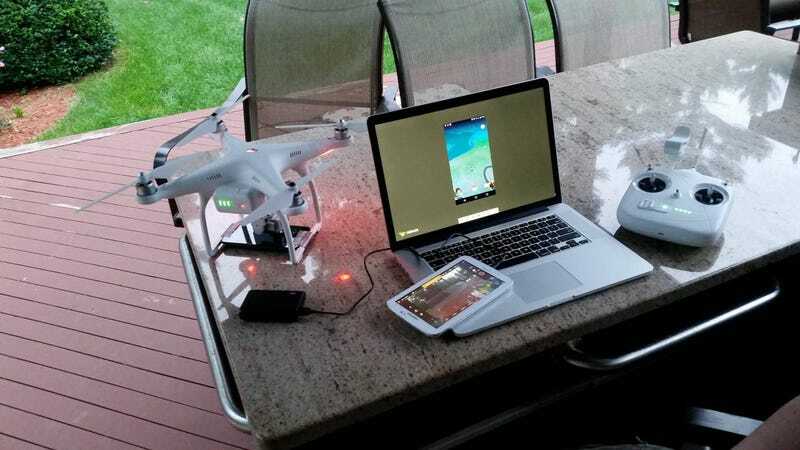 Yet under certain conditions, one could theoretically send their drone/phone combination off to catch ‘em all. You’ll just need a stronger signal and a drone that doesn’t fall out of GPS mode when duct taped to a smartphone.